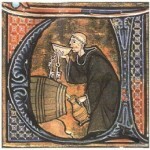 The art of distilling is believed to have been brought to Europe through Irish missionary monks. The knowledge of distilling spread through the Church and eventually reached beyond the monastery walls. The oldest licensed whisky distillery in the world, Bushmills, lies in Northern Ireland and received its license by Jacob VI in 1608. Irish whiskey was immensely popular in Britain during the eighteenth and nineteenth century. In 1779 an astonishing 1200 distilleries existed on Ireland, and most of them were unlicensed. The many illicit distilleries soon forced the government into action and a period of tax raises and increased awareness by government officials followed. In 1822 only 20 legal distilleries existed and the number of illegal distilleries had been reduced to about 800. The number of distilleries was further reduced due to the Total Abstinence Movement which was inaugurated in 1838 by Father Theobald Mathew. The movement created an increased competition between the many Irish distilleries which resulted in continued growth for the larger companies at the expense of the smaller distilleries who often had to shut down. 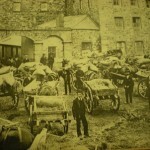 The families Jameson and Powers from Dublin were among the most successful and managed to continuously expand their businesses. In spite of the problems at home, Irish whiskey was by 1900 the leading strong spirit in Britain. Large quantities were also exported to the West Indies and to the US market. It would take two major setbacks working together with the abstinence movement to break the success of the Irish whisky industry; the introduction of Scotch blended whisky and the US Prohibition. When the Prohibition finally was over, the damaged Irish whisky industry could not produce the volumes needed by the awakened US market. Because of the development of continuous distillation in Scotland, their new blended whisky could easily meet the increased demand and the Scottish whisky industry boomed. In the early 1960s the export of Irish whiskey was virtually nonexistent and survival seemed threatened even on the native Irish market. In 1966 three of the remaining distilleries therefore joined forces in a new company called the Irish Distillers (IDL). 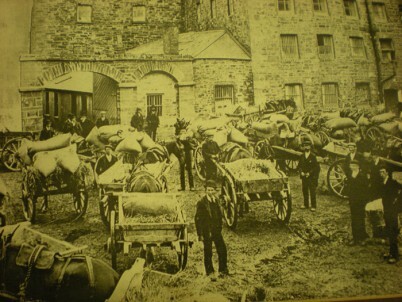 The three distilleries were John Powers & Sons, John Jameson & Sons and Cork Distillery. 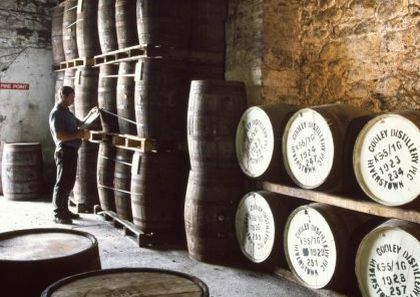 In 1975 the new company moved all its production to a new £9 million distillery, Midleton. The new Midleton distillery was built behind the old Midleton Distillery which today houses the reception area and visitor centre. In another effort to reduce costs, IDL also ceased to sell through middlemen which naturally angered many agents. In spite of the efforts, IDL would not remain in Irish hands for long; in just a few years Seagram’s had bought both IDL and Bushmills – the last remaining independent distillery on Ireland. Initially Seagram’s kept production active at the Bushmills, Midleton and Coleraine distilleries although Coleraine was put to rest in 1978. The remaining two distilleries Bushmills and Midleton produced 15 whiskey brands, 4 vodka brands, two gin brands and one rum brand. 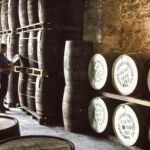 Although this does not sound so bad, the Irish whisky industry now held only one percent of the global whiskey market. Seagram’s were not happy with their investment and started getting rid of some of their shares in the late 1980s. The French company Pernod Richard seized the opportunity and made a bid for the remainder of Seagram’s shares. Seagram’s accepted the £4.5 million bid and the Irish whisky industry passed to Pernod Richard who remained Ireland’s only whisky producer until 1989 when John Teeling founded the Cooley Distillery –currently Ireland’s only independent Irish whisky distillery. Unique to Irish whiskey is pure pot still whiskey. While single malt from both Scotland and Ireland is distilled only in a pot still, the designation “pure pot still” as used in Ireland generally refers to whiskey made of 100% barley, mixed malted and unmalted, and distilled in a pot still. The “green” unmalted barley gives the traditional pure pot still whiskey a spicy, uniquely Irish quality. Like single malt, pure pot still is sold as such or blended with grain whiskey. Usually no real distinction is made between whether a blended whiskey was made from single malt or pure pot still. Only Redbreast, Green Spot (which is sold only through Mitchell and Son vintners in Dublin), and some premium Jameson brands are pure pot still whiskies. All of these are distilled at Midleton. Irish whiskey is believed to be one of the earliest distilled beverages in Europe, dating to the mid-12th century (see Distilled beverage). The Old Bushmills Distillery lays claim to being the oldest licenced distillery in the world since gaining a licence from James I in 1608.